The Smartest & Toughest Fitness Challenge? The Smartest & Toughest Fitness Challenge? It was the most physically challenging event I can remember. I’ve been through some grueling workouts in high school and in college. I still remember going through a lifting program in college that my roommates had from their high school football program – and this was a football team that seemed to be constantly winning the state championship. Lots of benching, squats, overhead presses, lunges, etc using barbells & dumbbells – you get the idea. All these workouts and lifting programs pale in comparison to training for the DVRT clean & press test with the Ultimate Sandbag! Being a dude and weighing over 200 pounds, I needed to do 40 repetitions in 5 minutes using the 100 pound burly USB – whew! At the time, the only burly I had access to was our 115 pounder at Fitness Lying Down. I went on the DVRT website and found their suggested training protocol – a very helpful guide to follow especially for me who had no idea where to begin preparing for this physically demanding test. The crew at Envision Fitness shows the strength, conditioning, and technique that is required to pass this great fitness challenge. There are many memories from the time my good friend and business partner, Anthony Dix, and I traveled to Chicago for the Level I certification. It was an amazing experience and even though I had been following DVRT for a few years and using Ultimate Sandbags at FLD, I learned so much more than I thought I would! Some of the smallest and simplest concepts answered from asking questions were game changers which we were able to implement right away on Monday. I’m certain that you cannot receive the kind of information online as you can by actually going to a live certification! If you have a chance, make your way to a DVRT Level I & II certification and experience all the knowledge bombs! We have excellent instructors that know their stuff – just sayin’! There is way more to the Clean and Press test than just doing the test! It is about learning and problem solving your weaknesses and increasing your strengths! But the memory that sticks in my head the most is how many missed reps I had. I believe I had 4 or 5 reps that didn’t count. Think of it – I actually had 45 attempts in 5 minutes … that wasn’t as efficient as it could have been and I wasted a lot of energy on those non-reps. And when it was done I will say now what I said then, ‘THAT SUCKED!’ I found myself a corner and assumed the fetal position for a few minutes. My body was quivering, I was out of breath, but I passed! Lunch was right after the test and I remember ordering 3 lemonades just to get my blood sugar back to feeling normal! Friday, April 5th I turned 40 for the first time and I can honestly say this is the oldest I’ve been, but the best I have felt! How many out there can say the same thing? I wonder where I would be if I was still following those high school football lifting programs or going through all the barbell & dumbbell bodybuilding workouts. I wonder, but at the same time, I’m glad it’s not a reality because I have a good feeling where my body would be. Sore shoulders. Sore knees. Sore low back. That’s where I see many of my peers right now that have continued down that path. 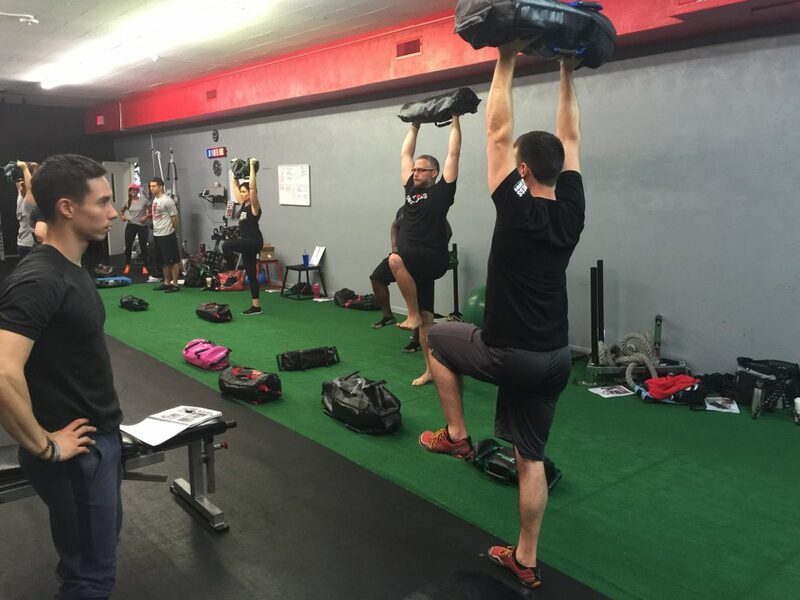 I decided today, April 5th, on my 40th birthday to revisit the Clean & Press Test using the @ultimatesandbag . . 40 reps in 5 minutes using a 100 pound #ultimatesandbag – Let’s just say it felt better than it did 4 years ago! One reason I can proclaim how good I feel is a direct result of incorporating 100% DVRT into my sessions. And I can thank Coach Dos and his Metabolic Resistance Training (MRT) protocols using the DVRT system. Training with this authentic form of HIIT has given me the ability to build a strength that is complete with an honest physique (thanks Josh for this phrase). 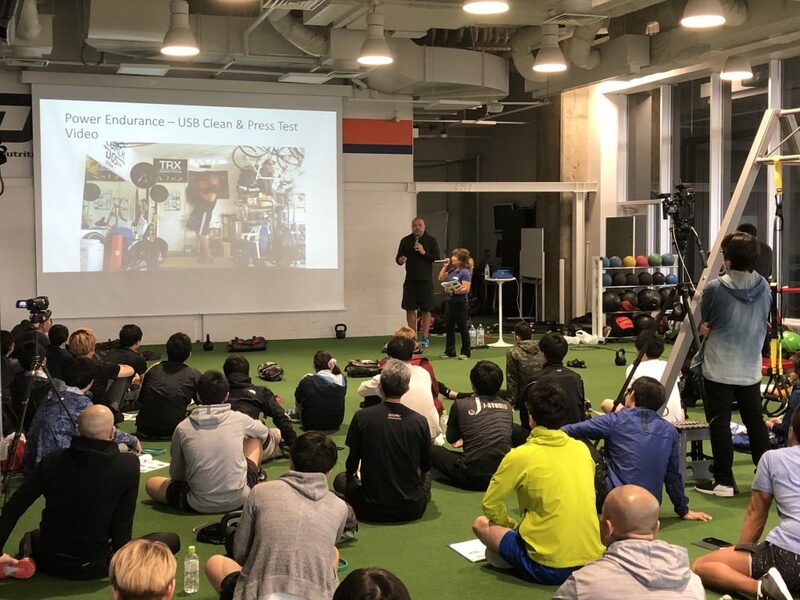 Coach Dos has several times called our Clean and Press test the best measure for power endurance training. The type of fitness that we REALLY want in real life and sport! This real world strength that I have built is the reason I can make single leg snatches look easy  It’s the reason I can pick up my children from inconvenient positions and postures and not worry about having my back go out. It’s also the reason I can revisit the same clean & press test on my 40th birthday, 4 years later, 20 pounds lighter, and crank out 40 repetitions with the 100 pound burly easier than the first time. Nothing like #snatches on a #fridayworkout But hold the phone  doing them with only one leg! Power #exercises require patience, timing, strength, and precision to be fluid. And speaking of fluid, why not use a #DVRT water bag  to make for a more interesting experience? There is a difference between a test and training for this fitness challenge. It is about learning how to program, move better, and then putting it all together. I am NOT saying it was easy – just easier than the first time. It was still physically demanding and required every ounce of energy and I’ll say I wasn’t interested in doing anything else after the 5 minutes were up! The strength and power I have gained using DVRT is about timing and efficiency, being able to resist unwanted motion to enable proper movements at the right time, and being able to fire the right muscles at the right time. This is one reason I didn’t have to train in order to ready myself for my birthday celebration clean & press test. Every training session I create demands adaptability and prepares real life opportunities, focusing on moving with efficiency. For the 15:45 protocols you want to find a load that you can get 5 to 8 repetitions in 15 seconds (you might find you can get a few more swings, that’s OK!). For the 20:40 protocols you are looking to achieve 6 to 10 repetitions in 20 seconds. If done correctly, you will understand what HIIT is all about and reap the strength benefits from it! Check out Cory’s programs and our Metabolic Resistance Training program for 30% off with coupon code “springsale” HERE and his upcoming DVRT workshop in Chicago HERE and see how you can learn so much more about what real world fitness is all about!